Padlet is an online, electronic “wall” where students can post comments or answer questions for the entire class to see and respond to. The possibilities are endless since the link can be shared with students who can easily access the wall electronically. The teacher can upload videos, photos or documents. It can easily be used for a virtual exchange as well with another school. All students involved can comment on the same photo or video and everyone can see the different responses. Padlet can also be used in real time in class with all students entering comments on the board at the same time. Each comment begins with the student’s name so that everyone looking at the board knows who wrote the comment. Pixton is a website where students can create their own comic strips by developing characters and dialog. There are various templates and tools to make characters. There is a section of the website specifically for schools and students projects. You will also find some interesting reasons how Pixton is useful to language students in the ares of motivation, creativity and culture. GoAnimate is a free site that allows you to create cartoon animations and either record voice or type text that the program reads for you. It also has authentic foreign language accents and voices. Storybird is a free site that lets you choose artwork to create a story. You choose your art, then type in your story. The final product reads like a book and can be embedded easily on class sites or blogs. LinoIt is a free message board. You create a board where students can post “sticky notes,” including video clips. The activities on the links below are great for students to individually practice many vocabulary topics in a very interactive way. Some of the activities include sound and students can practice their listening comprehension as well as their ability to recognize words when they see them in print. These are also effective for the smartboard as well. The activities work just as well on an individual computer screen. 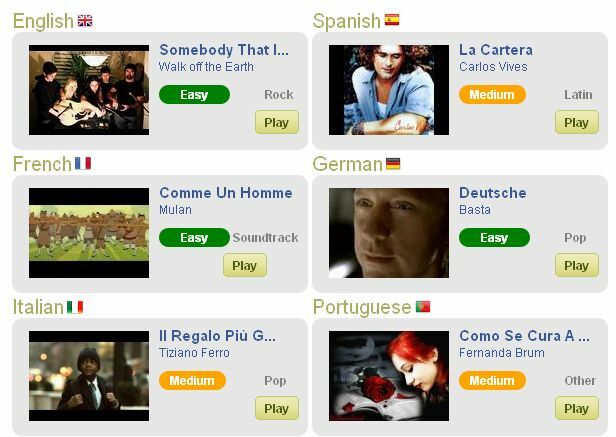 These are very interactive music activities that I came across on Lyricsgap.com. The songs are on video (linked to youtube) and for each song there are 2 types of activities to practice the lyrics: Fill in the missing word or phrase (three levels) and karaoke. There is a great site available through Colby College that gives students an opportunity to practice Spanish grammar structures, everything from regular verb conjugations, to comparisons, through the subjunctive. 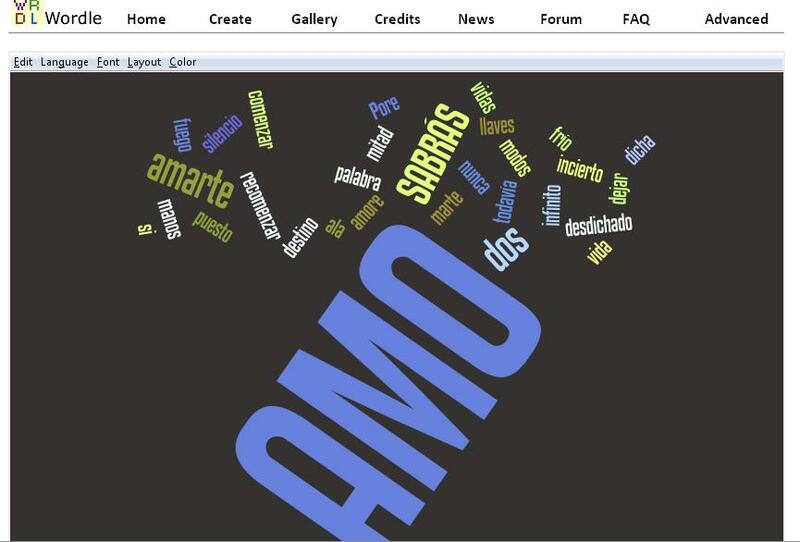 This site also has many audio clips, readings, and interactive cultural activities to help students master Spanish grammar concepts and structures. There are great activities to be done together as a class or given to students individually. All of the stories are very interactive and have voices that read the story, words the screen, movement, Smartboard activities, and a very extensive downloadable pdf with activities to go along with each story. This is a free site and kids love it.